If you are an actor, you have undoubtedly heard that endemic phrase, ‘you can’t wait for the phone to ring’, being tossed around. So, I thought I would have a look at this little adage, which seems to be so prevalent in the acting community, and try to see what action, other than waiting for the phone to ring, is actually worth taking. This is how to get noticed as an actor, whether the phone is ringing or not. For some, the phone is ringing, and ringing tirelessly; yet for others it isn’t. I was sitting on the edge of my friend’s bed the other night as she talked despairingly of how she wanted, with every fibre of her being, to be signed by a certain agent. She spoke idyllically of the day she would sign her name on that dotted line and then, only then, the phone would be ringing off the hook. But muddled in with her hopes was a commensurate worry that she would never get to sign her name along that line; her career would be forever stagnant and without hope. I tried to abate some of her worries, and also to gently warn her about placing all of her hopes on signing with this agent. Because, even if she did, the phone may still not be ringing. Even with a great agent or manager behind you, there might still be a lack of opportunities. So, instead of speculating with her about whether or not it was going to happen, I tried to galvanise her into action and, like any caring friend, reassured her that she wasn’t powerless and that there was plenty she could do. But as I ambled home after our chat, I thought about my own listless acting career and wondered whether there was any truth in what I had been saying. I asked myself honestly whether, in fact, there was anything beneficial we can do, as actors, besides waiting? What follows is the continuation of that evening’s ruminations. As usual, I begin with a necessary preamble: I am not being noticed, and I sparingly use any of my own advice. However, hopefully that doesn’t thwart the verity of what I am saying, nor stop me from audaciously encouraging others to take up my unfounded advice. These are just some simple thoughts about how to get noticed as an actor and, however futile these ideas may be, they are, surely, of more benefit than playing video games and waiting for the phone to ring. This word perturbs me. It brings to mind fawning actors salivating over ‘industry heavyweights’ in post-show foyers, smiling and giggling like school girls, flirting with casting directors and agents, and it all makes me a little nauseous. 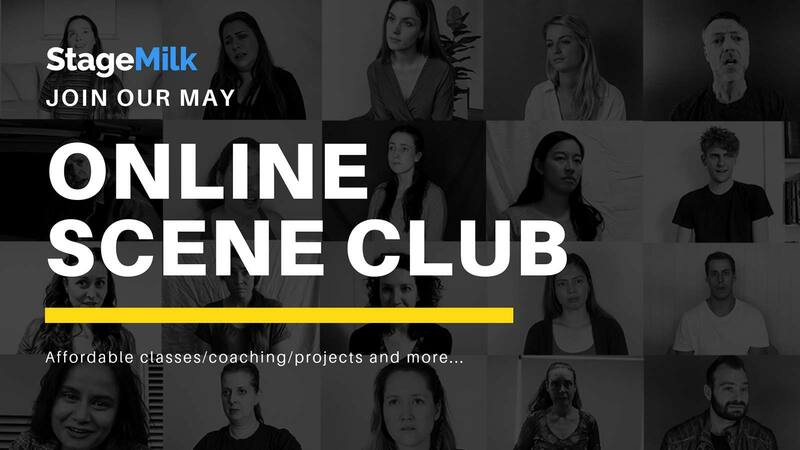 However, although we have all experienced grotesque examples of this sort of ‘networking’, creating personal connections with other actors, directors and industry people can be greatly beneficial. If you can be real and make friendships, or at least show your face at events, down the track when you meet with these people in a professional setting, you already have a slight ‘in’. Going along to see theatre or film premieres, or taking part in workshops shows that you are keen to be a part of this industry; and you get to watch theatre and film, which, hopefully, you should enjoy. 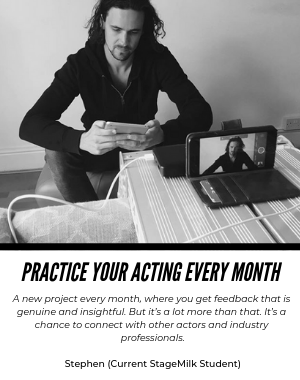 It is vital that you keep up your skills as an actor, so you should be going to classes and workshops just for that reason, but some master-classes can also be an opportunity to showcase your acting. Be cautious, as there are so many master-classes popping up all over the place for which you pay big bucks, but get very little in return. Also, don’t get into the habit of doing these master-classes just to get noticed. That should be a secondary reason to wanting to hone your craft and become a better actor. Working in independent theatre can be hit and miss. So, only work on a show where you know and can trust the director or the other actors. Have you seen any previous work by the theatre company? Have you met the director? Have you seen any of the other cast members perform before? Of course, sometimes you have to take a risk, especially if it is a play or a part you love, but do be careful. The larger theatre companies love to see that people are working in independent theatre and, if the show is good, it can be a great way to let the industry see your work. Read: should I do independent theatre? Getting involved in short films is great. You meet lots of people, get some footage for your showreel and, if you’re lucky, the film may do the festival circuit and get you some exposure or maybe even a shiny award. I go more into this in my article about how to find an acting agent, but having a good showreel is important. It can be a way of getting noticed by casting agents or even your own agent if you haven’t been working for a while. It shows that you are keen and proactive. The emphasis with a showreel should always be on the acting. Even if it’s not cinema quality, the acting is what shines through, not production values. So don’t spend a fortune. Make sure you have a good headshot. One that looks like you, right now! Think about what you would cast yourself in and pick a headshot that emphasises that. Scrutinise your headshots. Do you look very young? Or did you have facial hair that you no longer have? Are you friendly and open or very serious? It’s all simple stuff, but very important. If you haven’t had a proper acting training, drama school, especially a well-respected one, is a great way to get noticed as an actor. You meet lots of other actors and you will have a showcase at the end that brings with it a lot of exposure to agents and industry professionals. If the work isn’t coming, make it for yourself. Write a play or a short film. It will keep you busy and, if it’s successful, you will get lauded, not only for your acting, but your writing and creativity. You may do all of these things and still the phone may not be ringing, but I believe that, with any goal, you have to exhaust all of your avenues before you can start complaining. Some actors will have an easy ride and some won’t; that is out of your control. Think cleverly about what you can do to get noticed. If you believe in yourself and your skills, I believe that, eventually, you will be found. So keep pushing!